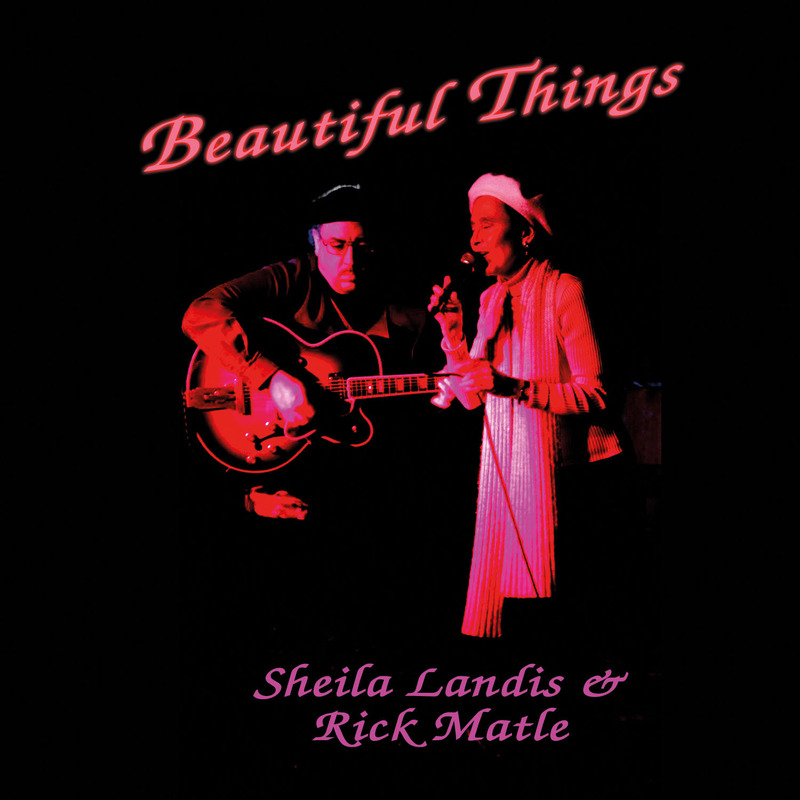 The Detroit-based duo of vocalist Sheila Landis and guitarist Rick Matle are two of the finest purveyors of the improvisational art form. They have decades of performance, individually and collectively, between them. Of all the music-oriented activities they are involved in, the appropriately titled Beautiful Things finds them working in their favorite habitat: playing live for appreciate crowds. All 15 of the selected tracks here were recorded at various venues around the Motor City, including the restaurant Beans and Cornbread, The Jewish Community Center of Metro Detroit, and The Village Theater at Cherry Hill in Canton, Michigan. Several of the tunes on this album were hand-picked favorites of Landis from the Ella Fitzgerald songbook. Essentially, the concept behind this project recalls the classic recordings and arrangements between Fitzgerald and guitarist Joe Pass. They begin this superb collection of primarily traditional American standards, show tunes, and cover songs with “I’m Gonna Sit Right Down and Write Myself a Letter.” This one really swings out of the chute, with a light and airy feel. Matle’s 7-string guitar allows him to accompany himself on bass lines that parallel the chords and melody. Landis’ elastic vocalizing on top gives this song a very full and multi-dimensional quality. Louis Jourdan’s “Knock Me a Kiss” follows, with lyrics that playfully laud cake, pie, and sugary confections in the same breath as love. Landis uses her voice in a lot of non-traditional ways on this recording and her “trumpet” solo here is convincingly quite good. 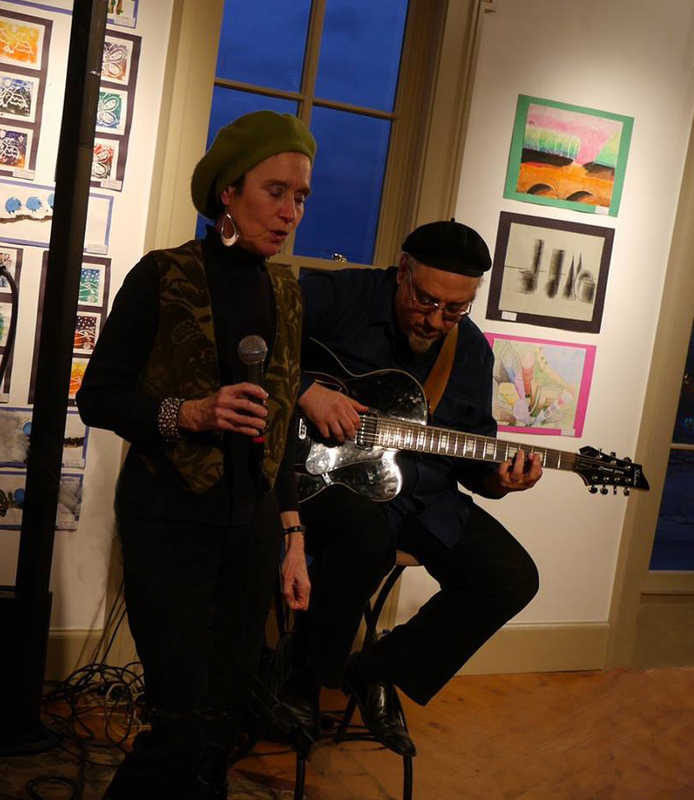 The duo slows things down a tad for Dinah Washington’s “Fine Fat Daddy.” It’s a languid walking blues tune where Landis takes a lot of liberties with her time and phrasing. Matle adds some nice inflections throughout, with some thoughtful delicate playing. Next in the set is a piece by Antonio Carlos Jobim called “Vivo Sonhando.” This is a breezy and relaxing samba that fully spotlights their collective talents. Landis’ command of vocalese and melody is unique and self-assured while Matle’s subtle use of chord inversions and melodic choices moves this piece like a full band. As aforementioned, Landis is a big fan of Ella Fitzgerald as evidenced by her uncanny and effervescent style. She pays tribute to her specifically here, with her original composition dedicated to the legendary singer entitled “When in Doubt, Make Coffee.” It’s a clever take off on “I Won’t Dance, Don’t Ask Me” and she sings in an appropriately caffeinated-fueled alliterated style. Kudos go to Matle for the stellar production on this live recording. The performances are so pristine and delicately rich that you can hear a pin drop. Highly recommended! 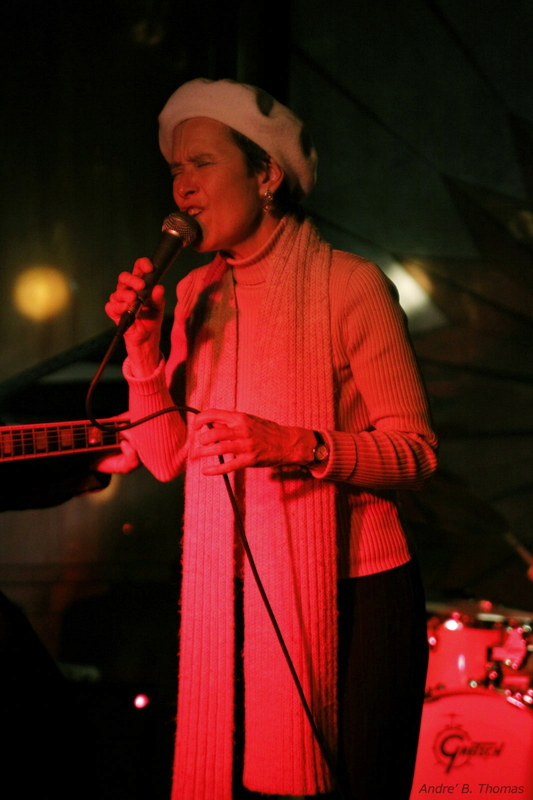 This entry was posted in Album Reviews and tagged Album Review, Eric Harabadian, Sheila Landis & Rick Matle. Bookmark the permalink.